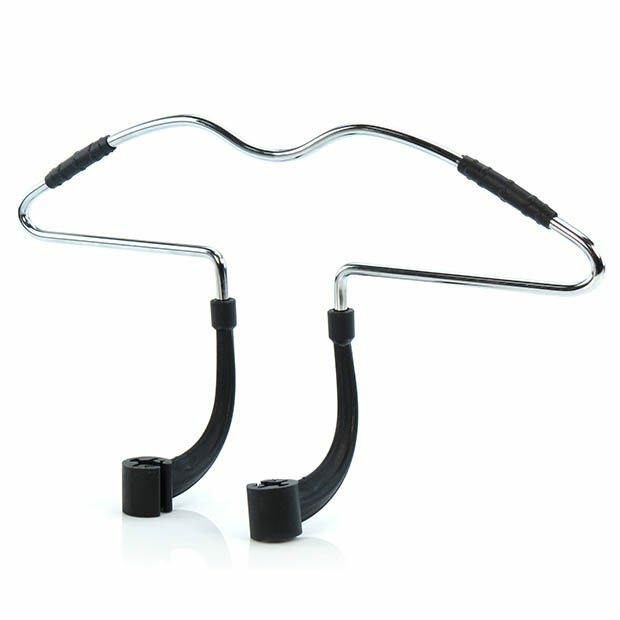 High quality, strong, in car metal coat hanger - wrinkle free clothes storage on the road. Holds your coat, jacket or overcoat and keeps it clean and crease free without obstructing the drivers view. Easily attach the hanger to the cars' head rest via the integrated clips and your away! Rubberised non-slip surface on shoulders. Easy to clean chrome-plated metal. Universal fitting - Easy to fit and remove. Size: Width 43.5cm (17") x 24cm (9.5") approx.